With spring coming fast in Texas, I am a busy bee working on getting my yard landscaped. I love the idea of making a few changes that not only make my home look amazing, but also help create an oasis for my family to hang out in. Learning how to landscape your home might seem complicated, but as I’ve found over the years, a few good landscaping tips for beginners is the perfect place to start. You only need a few easy landscaping ideas to get your creative juices flowing and help make your home look amazing. Having a well manicured yard often means more than your home looking great. For most people, learning how to landscape means giving themselves something they can take pride in. Being able to look at your home from the outside and see the literal fruits of your labor takes hard work and is absolutely something you should be proud of. 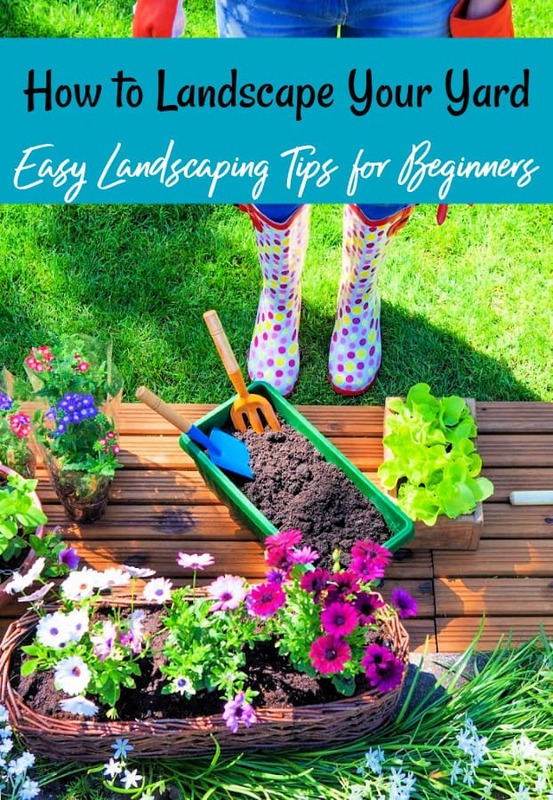 If you’re new to landscaping your home, researching a few landscaping tips for beginners before you get started will give you the heads up you need. When you put these landscaping ideas into practice with your own home, you not only raise the value of your home, but the curb appeal can raise the value of other homes in your neighborhood. This is great if you will be looking to sell your home anytime soon. A well designed landscaping plan increases curb appeal and curb appeal increases home values. This increased value and having a home that looks amazing is a great way to help yourself feel incredibly proud of the work you have done. Learning how to landscape your home can be incredibly overwhelming. If you make the wrong cut or use the wrong idea for landscaping, you could destroy the look that you’re going for. To keep those wrong cuts and other mistakes from happening, you’ll want to have the proper landscaping equipment to make the changes you’re trying to make. Once you have the necessary landscaping tools, you’re ready to get stared with these easy landscaping tips for beginners. When you’re first beginning to brainstorm landscape ideas, you’ll want to decide if you would like a theme or not. Perhaps you want the focal point of your landscape to be your favorite type of rose. Maybe you would like your vegetable garden to be the main focus. Sit down with a pen and a garden/landscape planner like THIS one and put your ideas down. If you know ahead of time what your end goal should look like, you will be much more successful in what you do. If your yard currently looks like a Jeff Foxworthy bit, you might be in need of some landscaping. Yes. Yes I did just go there. 😂 In all seriousness though, if your yard has any debris from trees, junk, trash or other things simply lying around, pick it all up. If you have no place to put things, investing in a storage shed and garden storage boxes can help keep things organized while avoiding them simply lying around. When you’re first working on learning to landscape, it can be easy to overlook your grass. We all know mowing is a necessity, but most don’t bother to water their grass. Not watering your yard can leave things looking yellow, dead, and sad. To start, mow your grass to a height you’re happy with. Using a lawn mower with a collection bag makes things easier than a simple one. If yours does not automatically collect the clippings, you will want to use a lawn rake to get the clippings cleaned up. Don’t toss your grass clippings! They can be added to your compost pile to help make homemade compost. After you have mowed and once the sun starts to go down, give it a good watering with a garden hose with a sprinkler attachment. Don’t make the mistake of watering while the sun is still high in the sky. Water droplets can magnify the sun and leave small burn spots all over your yard. When you’re working on landscaping over simply watering for lawn health, it’s best to water in the evening after the sun has started to set for the day or first thing in the morning before it reaches it’s high point. Finally, be sure that you check to make sure there aren’t any water restrictions in your area that may cause you to get into trouble for watering. If you really want to keep your lawn watered, but don’t have the time to do so daily, picking up an automatic sprinkler system may be the answer for you. Trimming and shaping bushes is one chore that never goes away and frankly can be a huge pain in the you know what when you’re first learning how to landscape your yard. With that said though, well cared for shrubs do give your home a well-kept look when you maintain them. If you’re feeling daring, you can use a pruning saw and pruning sheers to shape bushes and shrubs. Doing so will give the yard a geometric appeal it won’t have otherwise. If not, simply cut and trim each bush down so it is only as tall as you would like it to be. If you do decide to shape your shrubs, know that they grow very quickly. Because of this, you’ll want to make sure that you can easily maintain the design that you give it so that they don’t die too quickly. If you do have dying bushes and shrubs, replacing them with a hardier type of bush can both help liven things up again and add a pop of color. Lilac bushes will give your yard a beautiful purple flair and butterfly bushes are low maintenance while attracting beautiful butterflies to your garden. The next step in these easy landscaping tips for beginners is to plant beautiful flowers that help compliment your yard. Choose a few of your favorites that follow both your theme and compliment the landscaping you have already done. For a beautifully manicured yard, choose flowers that grow well in your garden zone and have bright colors. When you are planting your flowers, don’t be afraid to get creative with your planter ideas. Old tires, antique bikes, bathtubs and more can all be easily made into an upcycled garden project. This is your home after all and the way you landscape should reflect you and your style. One of the easiest landscaping tips for beginners I could give you is to add beautiful garden decorations. Just be sure not to overdo things. You want your landscape to have an appeal to it, but too many decorations may have the opposite effect. A birdhouse and bath – In my yard, birds are always welcome. They add a beauty to what is around them, help keep insects like mosquitoes down and more. A good way to spice up your landscaping is to attract birds to it. Place a bird bath and birdhouse so that they have a reason to visit you. Azaleas can be used to draw in hummingbirds to so be sure to make up some homemade hummingbird nectar and get a hummingbird feeder too. If you have a couple of terra cotta pots lying around, you can even make this Upcycled Birth Bath to add to your garden decor too. A Fairy Garden– If you have kids or are a big kid yourself, creating a fairy garden around your other landscaping ideas can be a fun and pretty way to add some depth to your yard. They’re super easy to make and are an easy kids craft that they will love to do. Plus, they’ll love that they got to help make your home beautiful too! Fairy garden decor is usually pretty cheap to pick up and will add a sense of whimsy to your landscaping. Pave stones – Don’t have a clear walkway through your yard? A quick and easy landscaping tip is to add a few pave stones to create one. If you have a lot of color in your yard, go with a lighter colored pave stone so the stones do not take away from the plants and greenery around them. Solar Lights – Using solar energy lights around your pathways aids in safety after dark and adds a touch of ambiance to your home, but they also help to create an area that is soft, romantic and enjoyable. Plus, they won’t add to your electric bill since they charge during the day! Garden markers or other stone pieces – Placing garden stones with pretty sayings, stone angels or even the cliche` garden gnomes hiding around your yard is a fantastic way to create the environment that you’re looking for. Gnomes and other garden figures add a touch of whimsy while angels and garden memorial stones create a spot of remembrance and serenity. Add a garden bench – I absolutely love the look of a stark white garden bench against the backdrop of colorful flowers and green bushes. Placing one or two garden benches in strategic places of your yard can help give both you and guests a place to relax and unwind. If you love to grill, you might be looking for a great place to set up your grill permanently. If that sounds familiar, why not create a grilling and BBQ area when you’re looking at how to landscape your yard? Pave stones are great for this! Mark out an area big enough for your grill and patio table and use pave stones or stepping stones to create the look and functionality that you need. Make sure you leave yourself enough room to move around without knocking your grill over and that you account for your entire family moving around in the area as well. There’s not much that is more relaxing than sitting around a fire on a cool night with your family. Creating a fire pit in your back yard is the perfect combo of function and beauty. If you are looking to create one from scratch, dig a hole that is deep and wide in the area where you would like your fire pit to be. Use stone bricks to line the fire pit with making sure you build it high enough to lessen the risk of any grass catching fire. Add pave stones around the area as a place to sit chairs and enjoy. If you would rather not dig a hole in your yard, you can create the same effect with pave stones and an outdoor fire place. Edible flowers and berries are both beautiful and functional. Planting bushes such as elderberry bushes, herbs that climb such as oregano and even sunflowers will all give your yard the beauty you’re looking for while helping to keep your family fed. Even certain types of tomatoes can be made into landscaping while serving as food. Finally, whether you are just learning how to landscape your home or you’ve been doing it for years, learning how to think outside of the box for landscaping ideas may be just what you need to really push your home over the top. Does your home need painted? Is there an item in your garage you could make into an upcycled garden project? Could you plant a new variety of flowers no one else in the neighborhood has planted? Taking the chance on something you never tried can only work out one of two ways. Chances are, you will love the changes you made. Before I close this post, I want to make sure you understand these are by far the only landscaping tips that you’ll need. They are the type of tips that will work for both those who have been landscaping for years and those who are just learning how to landscape your home. With that said though, these easy landscaping ideas are fantastic for getting a beautiful, well-manicured and long lasting landscape for your yard. Once the initial work is done, you really only need to maintain things. That, my friends, is usually the easy part. 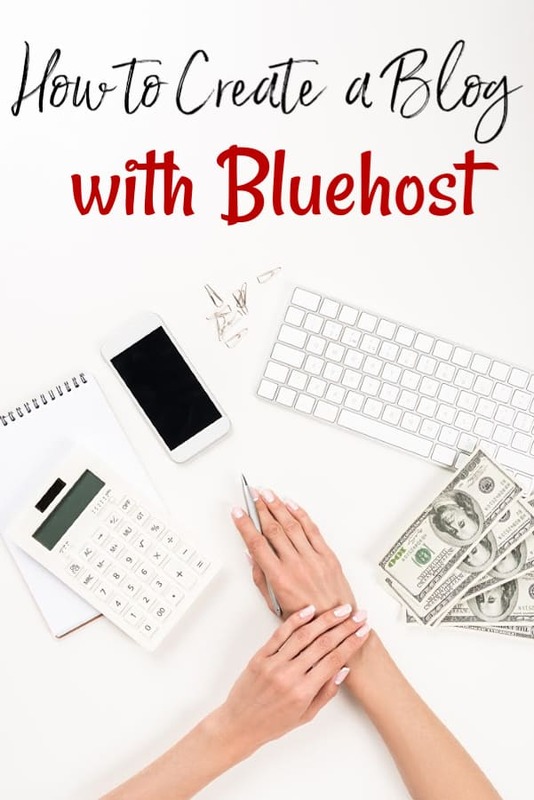 *This post was originally published in June 2016. Updated March 2019. A few suggestions would be to plant perennials rather than all annuals, and some evergreens to maintain color all year. Remember to check for sun or shade when choosing your plants/bushes, and add height in the backdrop of gardens and/or fence lines.